The Netflix corner of the Marvel Cinematic Universe has had a very good 2018 so far. 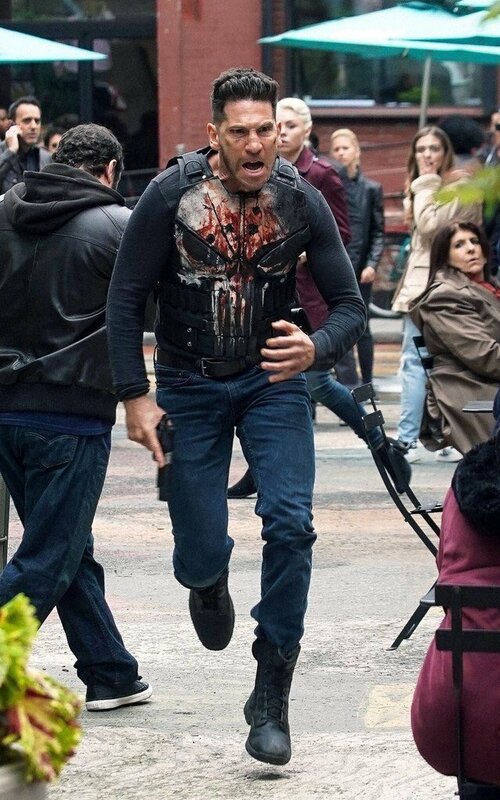 The success of the second seasons of ‘Jessica Jones’ and ‘Luke Cage’ have paved the path for the second season of ‘Iron Fist,’ being released September 7th, and and third season ‘Daredevil,’ confirmed to drop later this year. 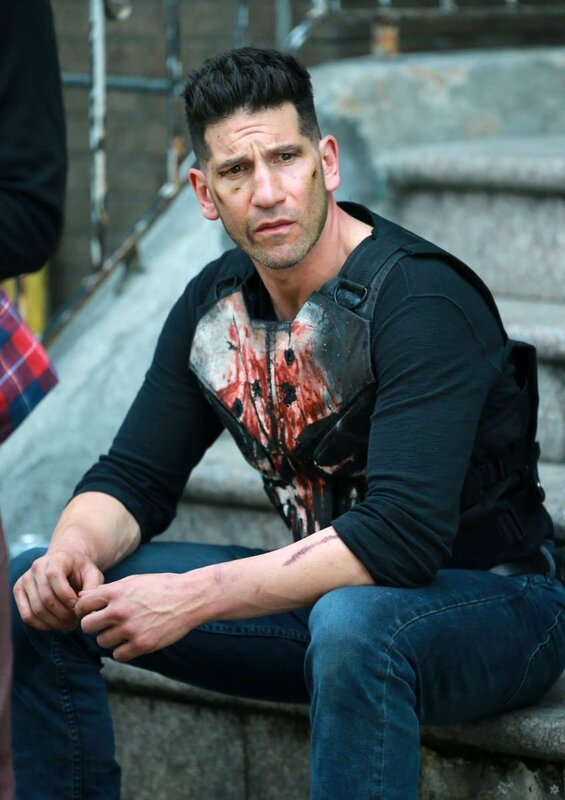 However, the one MCU show in Netflix’s rotation to not get a release in 2018, ‘The Punisher’ is currently in production and we have our first look at some leaked set photos, and, they feature Frank Castle’s, the role being reprised by Jon Bernthal, iconic, yet bloody, skull bulletproof vest! Because this is the very first look at the show’s production, the context of the action being displayed in the pictures is not clear. 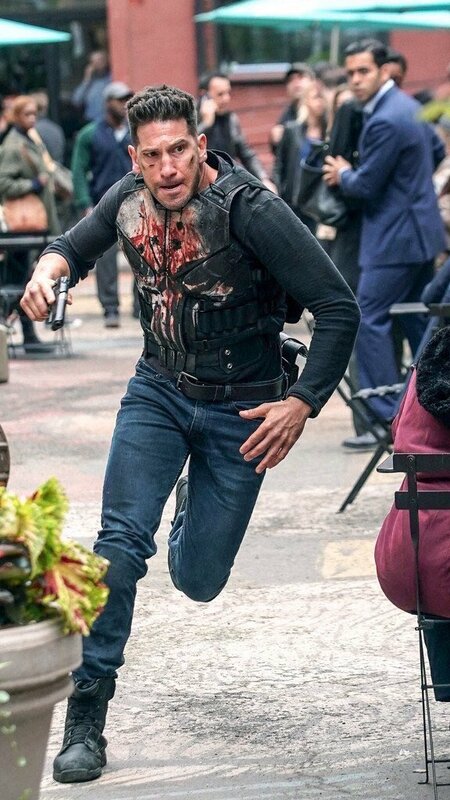 However, Castle seems to be in pursuit of someone. We already know that Jigsaw is set to appear as a villain in the upcoming second season. What do you think? 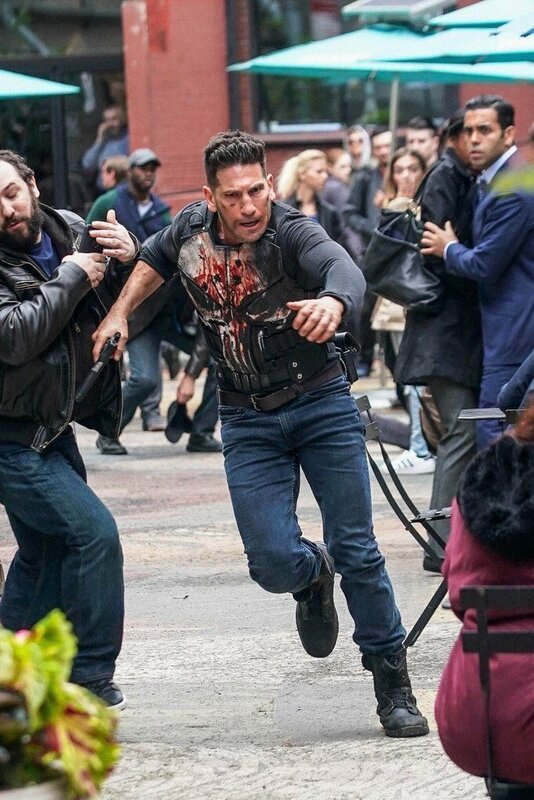 Are you looking forward to the continuation of the burtality and bloody storytelling from ‘The Punisher’? Let us know in the comments below and @superbromovies.